GENEVA, May 3 2017 (IPS) - This year’s theme for the 2017 World Press Freedom Day “Critical Minds for Critical Times: Media’s role in advancing peaceful, just and inclusive societies” is one of the most important days honouring press freedom. Inevitably, the impact of media has the power to transform societies through enlightenment and active citizenry. Observers occasionally refer to the media as the fourth estate owing to its influential role to further enhancing the plurality of opinions and ideas. A free press is indispensable for facilitating good governance and transparency. It strengthens the accountability of governments as citizens can critically assess the activities of incumbents through information provided by the media. However, significant challenges lay ahead limiting the freedom of the press. Firstly, journalists have had at times to pay a high toll for the expression of truth as they see it. Thus according to the Committee to Protect Journalists, more than 1,200 journalists have been killed since 1992. Among these victims, 65% were murdered, 22% perished owing to crossfire and combat, whereas 12% lost their lives owing to dangerous assignments. Many of those murders remain unresolved and the perpetrators are rarely brought to justice as “complete impunity” prevails in 86% of the cases. The 2016 World Press Freedom report issued by Reporters Without Borders suggests that violent extremism has put significant constraints on the ability of the press to operate freely and carry out their duties. Journalists have the right to work free from the threat of violence and of fear in their capacity as transmitters of information to the public. Their lives should not be put at stake for merely putting Article 19 of the 1948 Universal Declaration into practice. Secondly, the accountability of media needs to be strengthened so that it represents the public’s interests. After the so-called “War on Terror”, hate speech and online bigotry have rapidly been on the rise targeting specifically religious minorities. This has been followed by a misconceived conflation between terrorism, Islam and the Arab identity, which has given rise to marginalization, bigotry and discrimination. At the same time losses of lives as a result of violence or military action may be reported selectively thus implying unacceptable differences in the value of human lives according to where the losses occur. 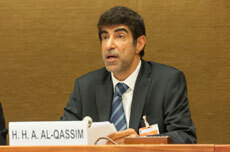 During the Geneva Centre’s panel debate on 15 March on the theme of “Islam and Christianity, the Great Convergence: Working Jointly Towards Equal Citizenship Rights” that was held at the United Nations Office in Geneva (UNOG), it was suggested by the panellists to better harness the power of media by promoting positive stories about religion and culture. It was also proposed that we, as global citizens, should never fear the stranger as differences enrichen our societies. I believe that media can play a more influential role in addressing prevailing misconceptions and misunderstandings that exist between people. Journalists need to refrain from the use of contemporary phobic language triggering social exclusion and religious intolerance. Incitements to hatred, violence and bigotry should be condemned as it exacerbates religious divisions within communities. The spread of fake news and fabricated stories in social media contradict the goals of freedom of opinion or of expression. A return to the founding principles of press freedom and journalism – accountability, transparency and independence of news media – is the first step to stop the flow of misinformation that is on the rise. By reversing the trend of offering simplistic and misconceived generalizations not grounded in reality, media could become a catalyst for social inclusion by implanting a culture of peace, harmony and tolerance.